It is worth noting that the concept of ownership in the sense of absolute dominion does not apply with regards to land[v] because the right to convey/transfer title which is a fundamental ingredient of ownership is subjected to the consent of the Governor thus, qualifying the ownership of land. 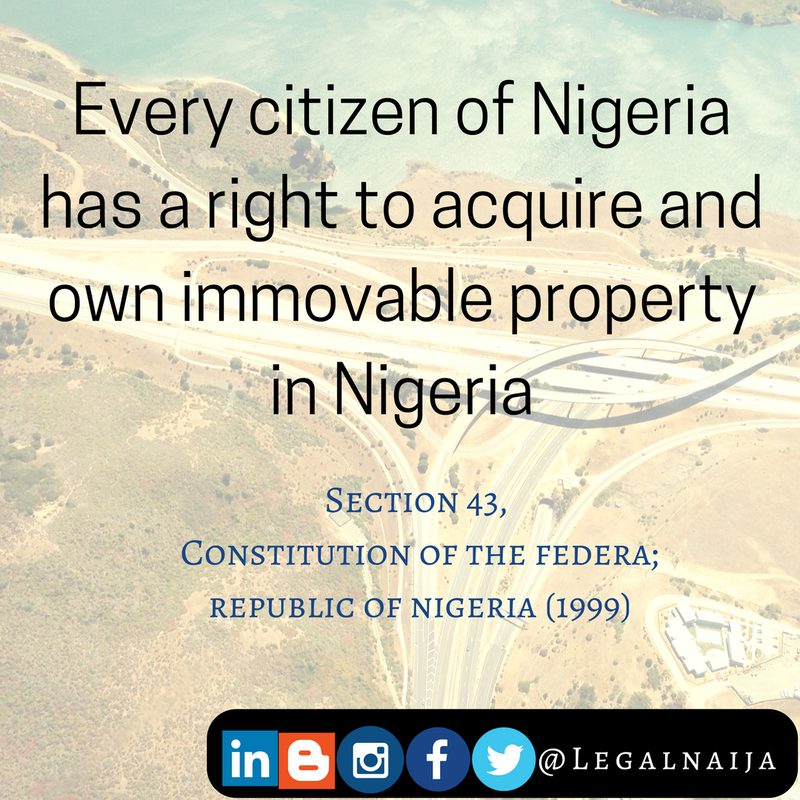 The nature of the title that is usually acquired over land is that of a right of occupancy i.e. the right to lawfully use and occupy land. A right of occupancy could either be ‘statutory’ in which case it will granted by the Governor over land in urban and non-urban areas[vi]; or ‘Customary’, in which case, it will be over land in areas other than urban areas[vii] and granted by the relevant Local Government Authority[viii]. A certificate of occupancy is usually granted for a term of 99 years subject to renewal[ix]. The certificate would clearly state the terms and conditions of the grant[x] and where the holder of such certificate of occupancy fails to comply with the stated terms, the certificate of occupancy could be revoked or the holder may be penalized. [xi] The holder of a right of occupancy over land is prohibited by law from parting with any portion of the land granted to him by way of mortgage, transfer of possession, assignment, sub-lease or any other manner without first obtaining consent to do so from the Governor[xii]. 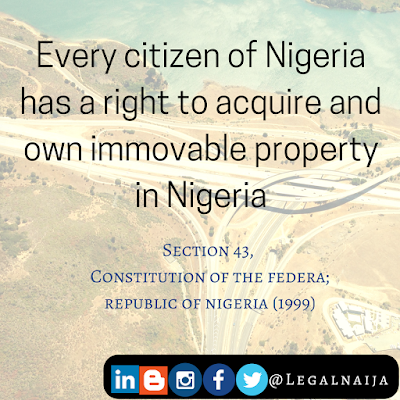 Any transaction which purports to transfer any interest or right over land in Nigeria without complying with the provisions of the LUA shall be null and void[xiii]. Circumstances under which right of occupancy may be revoked. h) Refusal to accept to pay for certificate of occupancy granted by the Governor. "It is not at all in doubt that the provisions of section 28 of the Act contains comprehensive provisions to guide the Governor of a State in the exercise of his vast powers of control of land within the territorial areas of his State particularly the power of revocation of a right of occupancy. One of the preconditions for the exercise of this power of revocation is that it must be shown clearly to be for overriding public interest. In order not to leave the Governor in any doubt as to the conditions for the exercise of his powers, the law went further to provide adequate guidance by defining in clear terms what overriding public interest means in the case of a statutory right of occupancy under the Act in subsection (2) of section 28. What this means of course is obvious. Any revocation of a right of occupancy by the Governor in exercise of powers under the Act must be within the confine of the provisions of section 28 of the Act. Consequently, any exercise of this power of revocation for purposes outside those outlined or enumerated by section 28 of the Act or not carried out in compliance with provisions of the section, can be regarded as being against the policy and intention of the Land Use Act resulting in the exercise of the power being declared invalid, null and void by a competent court in exercise of its jurisdiction on a complaint by an aggrieved party. 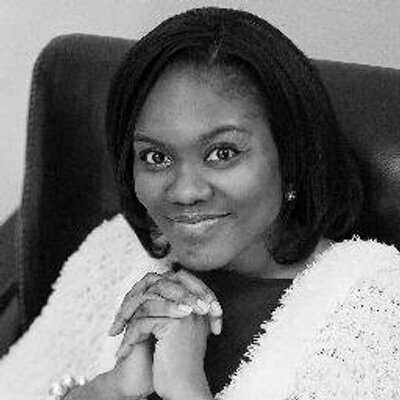 See Osho v. Foreign Finance Corporation (1991) 4 NWLR (Pt.184) 157; Olohunde v. Adeyoju (2000) 10 NWLR (Pt.676) 562; Dantsoho v. Mohammed (2003) 6 NWLR (Pt.817) 457 at 483"
Where a right of occupancy is revoked, the holder will be entitled to compensation in accordance with the law based on the value of the unexhausted improvements made to the land. Compensation would depend on the reason for revocation and may take the form of resettlement in any other place or area by way of reasonable alternative[xviii]. Note that compensation has nothing to do with the current market value of the land as the land is not ‘owned’ by the occupier as hinted above. The payment of annual ground rent further buttresses this point. e) Where it is not practicable to ascertain the name and address of the holder or occupier of land then the notice may be addressed to the person as “holder” or “occupier” and by delivery to a person on the premises. Where there is no one on the premises to take delivery of notice then it may be affixed on a conspicuous part of the premises. “From the above it is clear that the notice of revocation published in the said Rivers State Government Notice No. 235 dated 27th April, 1985 and published in Volume 17, No. 27 of the Official Gazette was not a valid mode of service in accordance with the Land Use Act. This is because the mode fell short of the requirement in the Act. There was no personal service or in this case which is a registered company, there was no service on the secretary or clerk of the company as provided for. The mode of service is therefore null and void and of no effect. I entirely agree with the trial court on this finding on the question of notice particularly when the 2nd respondent whose powers were being challenged made no attempt to throw light on the question. The effect of the failure of the 2nd respondent to serve adequate notice on the appellants as required by the Land Use Act prior to the revocation of the right of occupancy means the power of revocation was not exercised in compliance with the provisions of the Act”. “A very careful reading of sections 28 and 44 of the Land Use Act would disclose that publication in Gazette and local newspapers are not mode or manner of effecting service under Land Use Act. It does appear to me that omission of publication in the Gazette and newspaper is to further emphasize to acquiring authorities that the legislature has in mind personal service only as it left the acquiring authority with no option. Publication in the Gazette or newspaper is a mere grafting of a manner of serving notice prescribed under section 9(3) of Public Land Acquisition Law on the provisions of section 44 of the Land Use Act. For a notice to be valid it has to be served in accordance with the provisions of the Land Use Act”. The combined effect of the statutory and judicial authorities on the issue of notice is that failure to comply with this procedure will invalidate the process of revocation of a right of occupancy and a subsequent certificate of occupancy issued on the same property will be invalid. In other words, the grant of a right of occupancy over an existing right of occupancy will not amount to a revocation[xxiii]. The Governor of Rivers State was recently reported to have revoked the certificate of occupancy of a Hotel in the State for allegedly condoning electoral malpractice. The purported revocation was made orally at a public event. In the light of the foregoing, it cannot be said that a valid revocation took place. Clearly, electoral malpractice is not one of the reasons for which a right of occupancy may be revoked. “The court has always emphasized that government has the right to compulsorily acquire property on payment of compensation. There is no argument about such constitutional power. There are statutes which provide for the procedure of acquiring property by the government. Government is expected to comply with those statutes which it has enacted. Where government disobeys its own statute by not complying with the laid down procedure for acquisition of property, it is the duty of the courts to intervene between the government and the private citizen”. “I must express that the conduct of the public officials of Rivers State as represented in this case by 2nd, 3rd and 4th defendant grossly unsatisfactory. They had with their eyes wide open engaged on a course that could have led to a religious conflict and disharmony they had plainly shown themselves as incapable of managing prudently the responsibilities of their offices. Why would public officials so flagrantly and without any pretensions as to conformity with laws which are well-known seize the property of one citizen and hand it over to, another. I should have thought that fairness even-handedness and above all respect for the rule of law would characterize the behaviour and standards of such men who found themselves in public offices. So much for this show of shame”. The Land Use Act has been the subject of much criticism and controversy in Nigeria for years. Recently, the National Assembly failed to get the required majority votes to delete the Land Use Act from S. 315 CFRN 1999. The effect of such deletion would have been to remove the strict requirement for amendment of the Act. Unless and until the law is amended or repealed, it remains in force and valid and ought to be obeyed by all. While it remains uncertain whether or not the right of occupancy of the hotel has actually been revoked in accordance with the law, it is hoped that those who have the mandate to lead will not use their powers to intimidate the public as it will be counterproductive in the final analysis. Teingo Inko-Tariah is a Partner in Accord Legal Practice, Port-Harcourt Nigeria. [i] S. 9(1) (c) Land Use Act (LUA). Although the LUA is silent on issuance of certificate of occupancy by Local Government Authority, it may be presumed that in the case of a customary right of occupancy, a certificate would be granted by the Local Government Chairman. [v] Black’s Law Dictionary; 8th Edition defines ownership as the bundle of rights allowing one to use, manage and enjoy property, including the right to convey it to others. Ownership implies the right to possess a thing regardless of any actual or constructive control. Ownership rights are general, permanent and heritable. [vii] “Urban Area” is defined in the LUA to men such area of the State as may be designated as such by the Governor in accordance with s.3 of the Act which is to the effect that the Governor may by order published in State Gazette designate parts of the area of the territory of the State constituting land in an urban area subject to any general conditions specified by the National Council of States. [xvi] Please see S. 51 LUA for the definition of ‘public purpose’. [xxiii] CSS Bookshop Ltd v. The Registered Trustees of Muslim Community in Rivers State & others (Supra).